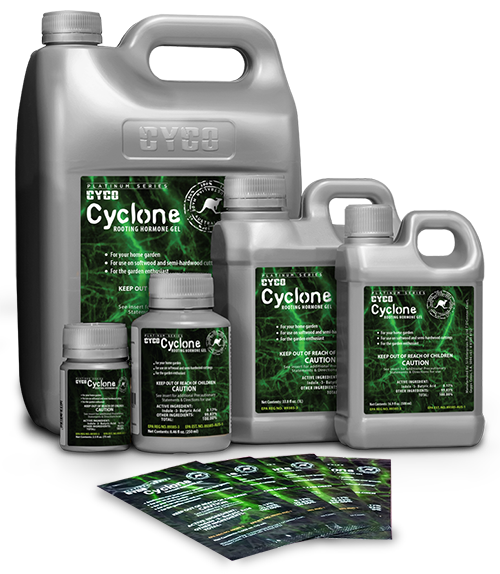 Cyclone Rooting Gel was formulated & rigorously tested over many years by our retail customers before being released into the global market. As with all Cyco Platinum Series products Cyclone needed to be a premium product which produced premium results for our valued Cyco customers. 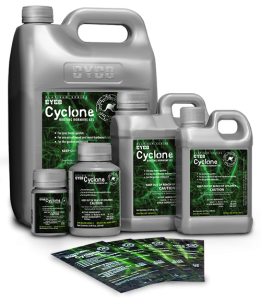 Teamed with our proven Cyco platinum series nutrient, Cyclone will give your cuttings the best opportunity to thrive and grow through the initial stages of it’s life. Harmful if swallowed or absorbed through the skin. Avoid contact with eyes, skin or clothing. Wash thoroughly with soap and water handling and before eating, drinking, chewing gum, or using tobacco. Remove and wash contaminated clothing before reuse. Available in Sachets, 75ml, 250ml, 500ml, 1 & 5 Liter containers. It is a violation of federal law to use this product in a manner inconsistent with its labeling. Read entire label before use. CYCLONE is used to support root production on cuttings of plants by supplying essential hormones for accelerated root development. CYCLONE may be used on all types of cuttings, including woody, herbaceous, and flowering ornamental species, vegetables, fruit trees and small fruits. humid environment. Look for root development in 1 to 2 weeks. Do not contaminate water food or feed by storage or disposal. Pesticide Storage: Store in a cool dry place. Keep in original container. 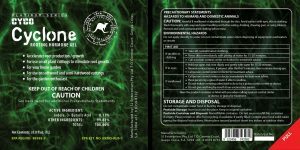 Pesticide Container and Disposal: Nonrefillable container. Do not reuse or refill this container. If empty: Place in trash or offer for recycling, if available. If partly filled: Contact your local solid waste agency for disposal instructions. Description: Cyclone Rooting Gel was formulated & rigorously tested over many years by our retail customers before being released into the global market.